Of the many things I’m going to miss when I leave Japan, the one I miss most might well be Noh. I knew next to nothing about Noh when I arrived and had never seen any before, but over the last six months I’ve become something of an addict. What I love about Noh is hard to explain. It’s partly the stories, but they aren’t really the main point. 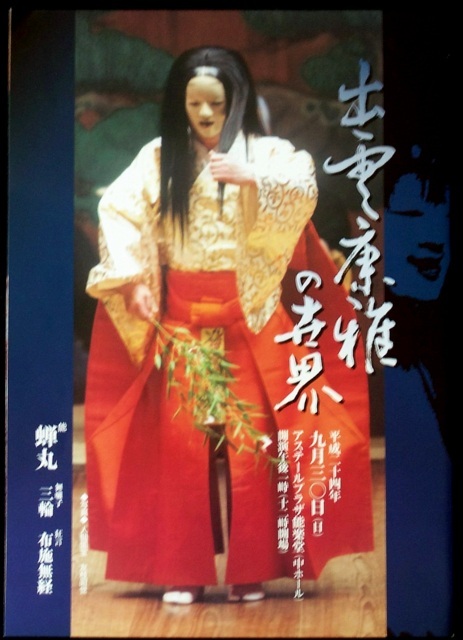 Nor – individually – are the music, the dancing, the costumes, the masks, the staging or Noh’s deliberate, ritualistic pace. It’s the way all these things combine. 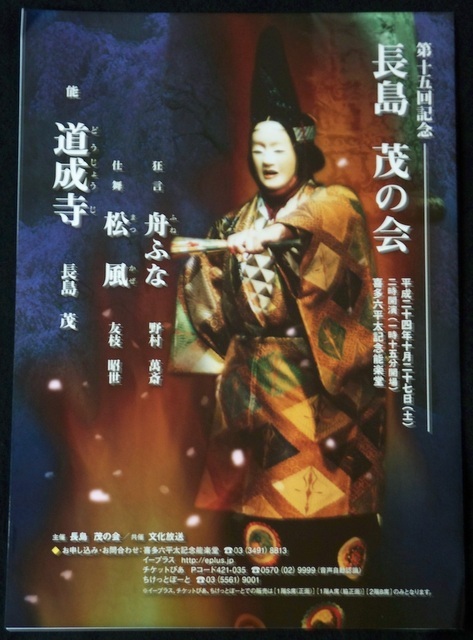 There’s a Noh play called Michimori. It concerns an old man and an old woman who are ghosts. In life, married and very much in love, the couple were reluctantly parted on the eve of a battle. The man died in combat. The woman, consumed by grief, drowned herself. Now they spend eternity reliving the final, miserable hours of their earthly existence – again, and again, and again. Their story is told and sung in a mesmerising, slow vibrato. Accompanying the characters and chorus are a pair of drummers who make eerie whoops and groans and howls throughout and a flautist whose instrument mourns, keens and stabs like an icicle through your heart. The costumes are gorgeous; the movements are hypnotic; the masks are, frankly, bloody weird. The overall effect, on me anyway, was a creeping miasma of gloom, a quintessence of dismal – a delicate, dreamy ecstasy of dread. My words don’t do it justice. 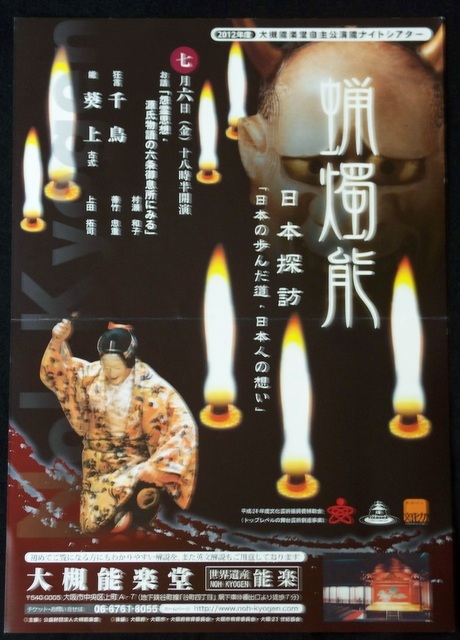 Photos during Noh performances are forbidden, so all I’ve got to show here now are flyers. This is a wonderful, unique artform and I feel very lucky to have experienced it. Theme: Connections Reflected Right Back at You by Catlikeadogproductions.com. Derived from Connections Reloaded v1.5 by Ajay D'Souza and Connections.